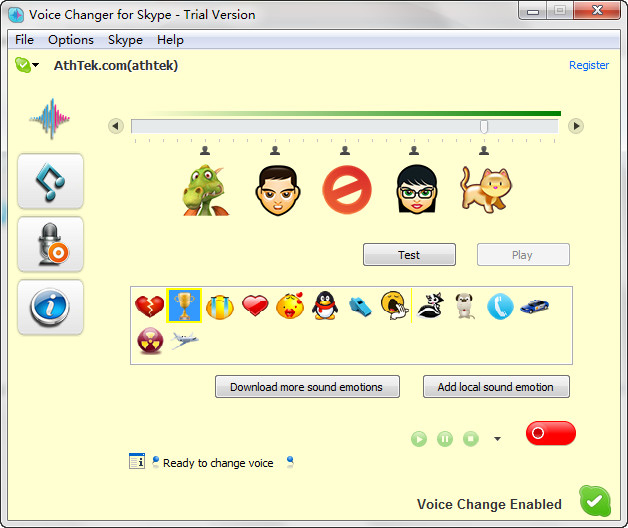 AthTek Skype Recorder, thus it can record Skype calls including your changed voice in high-quality audio formats. The perfect tool for offering live help to your website visitors.With RealTimeQuery your visitors can contact you while visiting your website. The program acts as a server on your PC not depending on external servers. Mass SMS transmitting software composes and sends multiple messages to different mobile numbers or individual in a single click. Group instant text messaging tool enables user to forward large volumes of SMS to all mobile phone network worldwide.